8330 Old Hwy 90, Orange, TX 77630 Phone: 409-745-1953 Fax: 409-745-5069 Business Hours: Monday through Friday, 7 AM to 4 PM. Welcome to Rogers Lumber Company's Home Page. Here you will find information about our company, our industry, and our products. 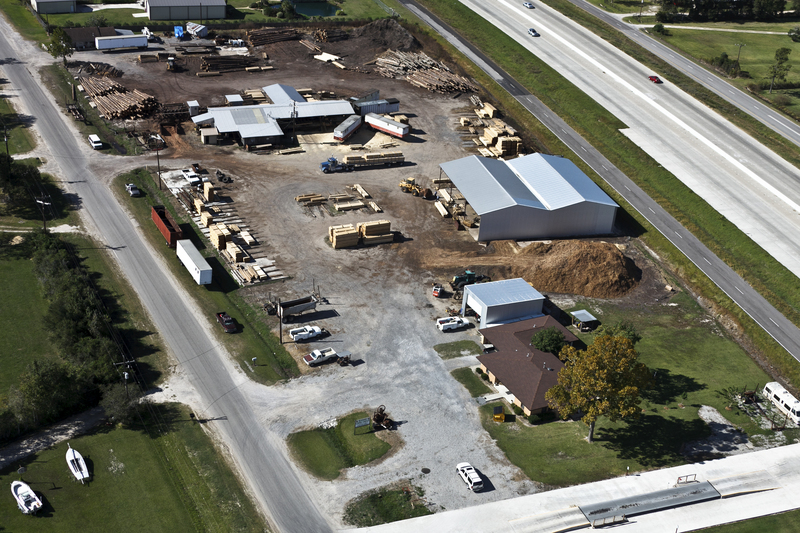 Rogers Lumber Company has been manufacturing high quality pine timbers and lumber in Orange, Texas since 1965. We employ around 20 people, some of which have been with us for over 30 years. Please take some time to look around and learn more about us. This is a video produced by the TCEQ that promotes their Small Business and Local Government Assistance program. It features our Sawmill toward the middle of the video. Our sign on the south side of the office. Our Billboard along our I-10 Frontage. I-10 Eastbound, exit 870 for FM 1136. Go straight through the stop sign and stay on the service road for approximately 2 miles. You will pass the sawmill on the right before you get to our driveway where our truck scales are located. The office is the brick building near the scales. Parking is in front of the building. I-10 Westbound, exit 870 for FM 1136. Go down to 1136 then turnaround under the overpass to get to the Eastbound service road. Do not get back on the Interstate. Stay on the service road for approximately 2 miles. Our truck scales next to our office.